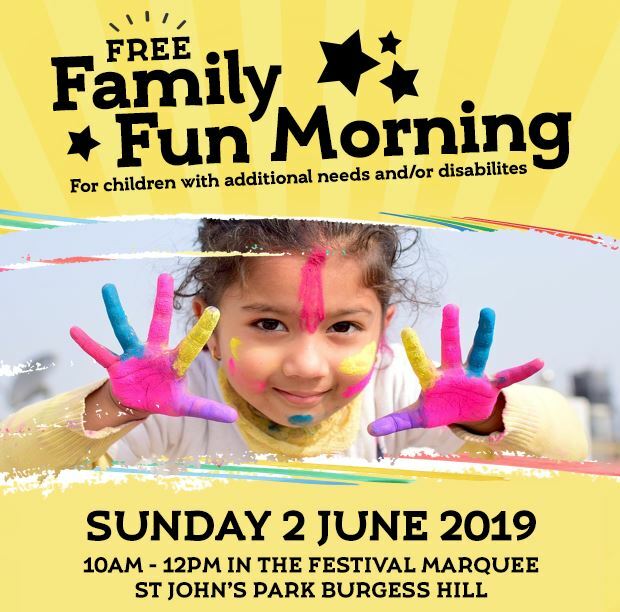 This is an opportunity for families with children with additional needs and or a disability to come to the Festival Marquee for a fun morning. FREE activities to include a small bouncy castle, a ball pit, circus workshop plus balloon modelling. There will be Arts and Crafts too provided by Burgess Hill Youth and Gateway Baptist Church. Only 1 ticket is required per family. Booking in advance essential. Event sponsored by Rotary of Burgess Hill and District and the Town Council.